The short answer is yes! It may take a while with constant repetition of a word, but sooner or later your dog will associate the word with the object or action. Border Collies are considered the most intelligent of all dog breeds. In 2010 a female Border Collie called Chaser was named the smartest dog in the world. In 3 years time, she learned the names of 1,022 different toys and learned to categorize them as well. 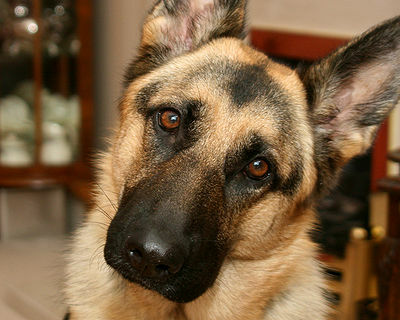 Studies have shown that dogs have the ability to learn and understand the words for objects. All dogs, but herding and hunting breeds especially, have developed the their intelligence to the point where they can reason. Often they are required to make split second decisions on their own and they do. 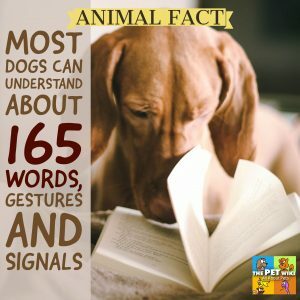 Dogs can learn to count too. Herding dogs know exactly how many animals are in their care and will know if one goes missing and return it to the flock. 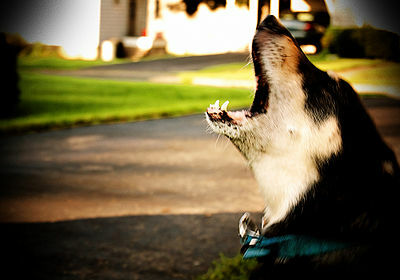 You can train your dog by being consistent, using the same word while showing the dog an object or performing an action. Our dogs understand us so well. They are adept at reading our body language and our moods. I guess my German Shepherd wasn’t pleased with my slow response when she wanted to go out in the garden, so she taught herself to open the door. When I ask her to fetch her ball, she passes up all the other toys and will bring me her special ball. My 3 dogs know the word, out, and will run to the door when I say the word. I’ve taught them the Hebrew words trafe when I don’t want them to touch their food and kosher when I allow them to eat. I use the same tone for both words to make sure it’s the words they understand and not my voice. Dogs have learned the basic commands – sit, down, stay, etc. – and when we use the word only for a command, they will follow through. Watch your dog as you talk to him/her. They may not understand each word, but their eyes never leave you and they try very hard. They certainly know our feelings and emotions.